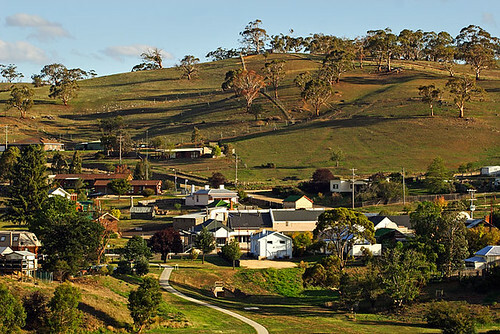 So, what are the 100 Best Towns in Australia? 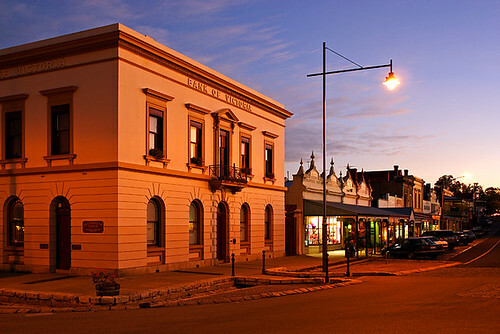 Recently I wrote about Beechworth in Victoria's north-east, and the town has just been acknowledged by a panel of 12 judges as a place worth recommending to your mates. 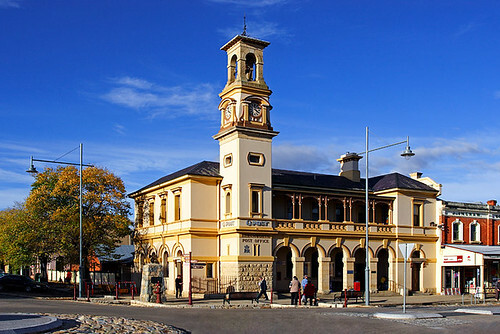 Beechworth has been ranked No. 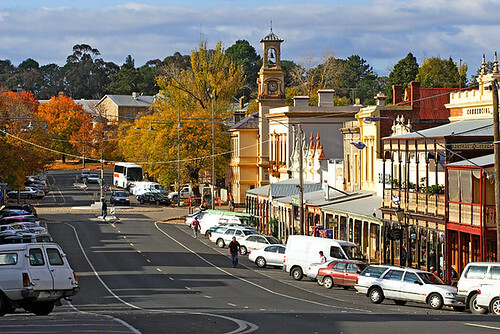 6 in Australian Traveller magazine's 100 Best Towns in Australia. 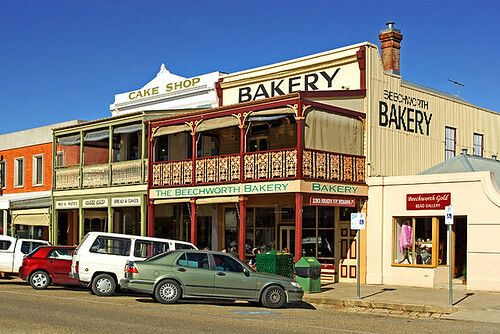 Of course those who have visited Beechworth know it’s a treasure, and to see it ranked highly confirms my belief that its bakery is a trap for donut lovers and its historic buildings are photogenic. 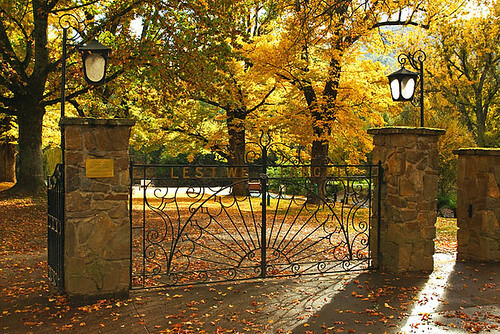 Darren Stones gallery of Beechworth photos for sale. The Darren Stones Newsletter Apr 1, 2009 has been compiled and it's available for viewing online in PDF format. 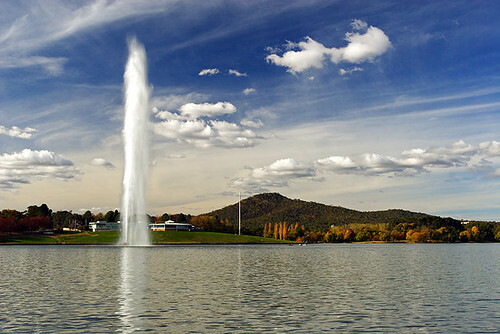 Slideshow of Canberra photographs. Images available for licensing. During the last two years, I've been fortunate to photograph sections, towns and attractions of the Murray River from Victoria, New South Wales and from a paddleboat at Echuca. As a youngster, our family journeyed to towns along the Murray River on numurous occasions, and at one time we had a caravan on-site at Corowa, New South Wales - the birthplace of federation in Australia. One thing has stuck in my mind about the Murray River in recent years. The fact that it's such an important part of Australia's travel and tourism industry. Sure, its many twists and bends add to the grandeur and mystique, but it's a river which continues to attract people from far and wide. Not surprising really given its history and beauty. Please enjoy this slideshow of images of the Murray River. Most Australians think of Canberra as a place where well-groomed and conscientious politicians go to serve their constituents to improve the people’s standard of living. 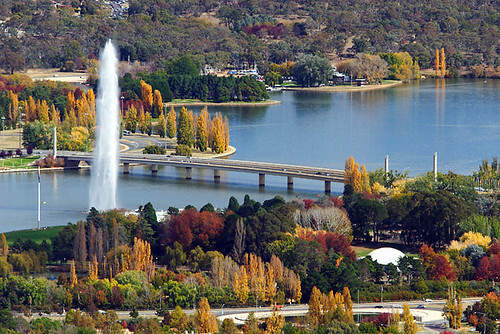 All jokes aside, Canberra is a beaut place to visit for the rank and file during the year. And, many of the attractions are free! 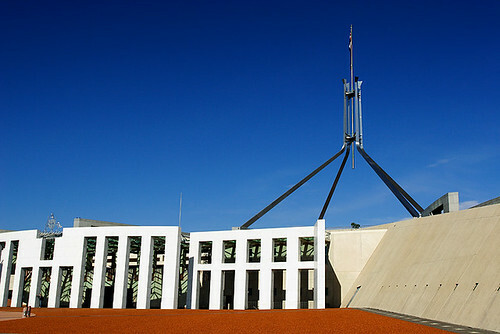 Parliament House is an imposing building with its impressive architecture and flagpole dominating Capitol Hill. It’s a building which displays fine art, craft and is melded into the landscape. The main foyer features 48 marble columns which resemble the trunks of eucalypts. If you’re keen to witness Australia’s elected representatives getting into a bunfight over policy differences, feel free to contact Parliament House to arrange your prime viewing seat. 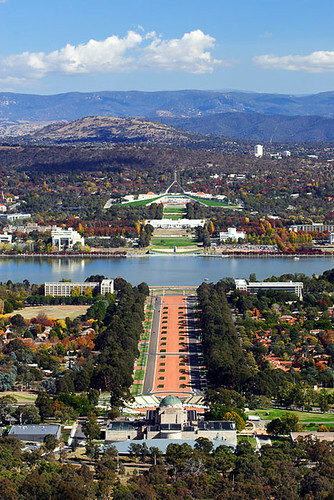 The view from the Mount Ainslie lookout offers a panoramic vista, with the most popular view looking south over the War Memorial, down Anzac Parade, Lake Burley Griffin, Old Parliament House and New Parliament House. 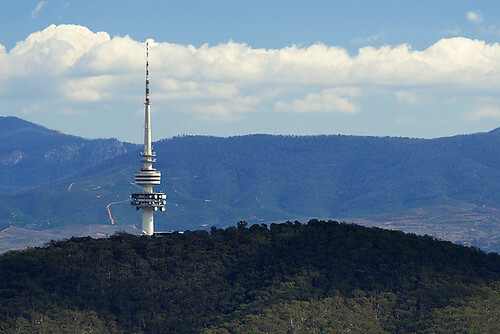 To the west, the Black Mountain tower rises 195 metres from the summit of Black Mountain. 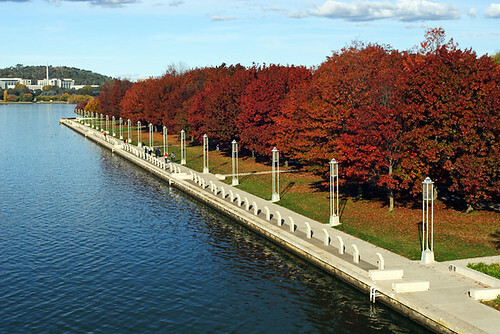 Canberra’s spectacular autumn colours are a delight, with deciduous trees displaying tones which provide picture-perfect scenery. 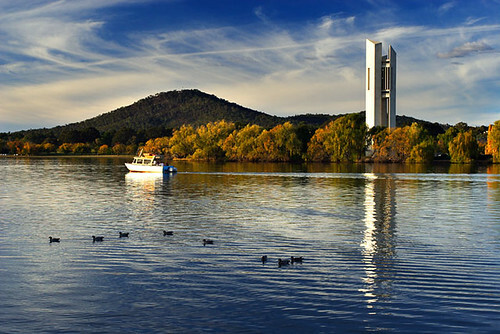 Lake Burley Griffin is a magnet for those seeking a leisurely stroll, and its southern shore features the Australians of the Year Walk. The eye-catching Captain Cook Memorial Jet is situated on Lake Burley Griffin, and it sends a powerful stream of water to a maximum of 147 metres. The jet automatically switches off during high winds, and operates daily between 2-4pm. 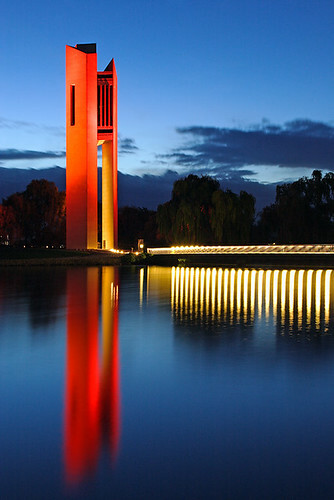 The National Carillon, rising to 50 metres, is located across the footbridge to Aspen Island. The British Government gave the carillon to Australia as a gift to commemorate the 50th anniversary of Canberra as the nation’s capital. It was officially opened by Elizabeth II in April 1970. 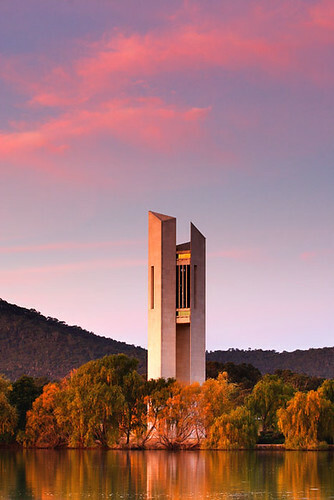 A 45-minute tour of the carillon is conducted on Saturdays commencing 11.30am. Bookings essential. 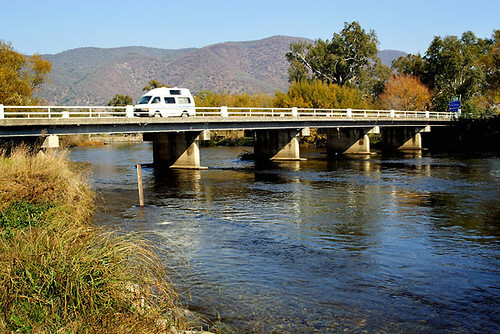 Located on the Great Alpine Road in Victoria, Omeo is a town where fresh mountain air and picture-perfect scenery are just two of the town’s attractions. The Oriental Claims Historic Area is ideal for those who like to fossick, discover small particles of gold and stretch their legs. 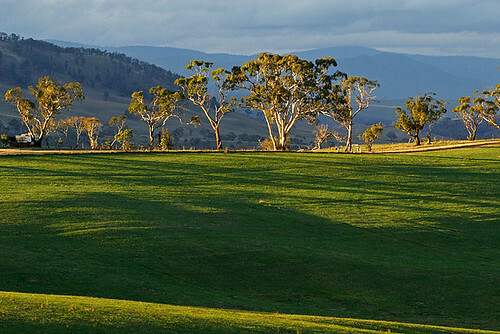 With walking tracks and a picnic area, it’s ideal for a short trip from Omeo. The Historic Museum encapsulates Omeo’s past. Browse through the artefacts, the courthouse and outbuildings of a bygone era. 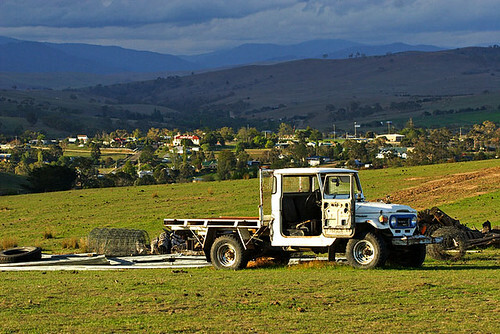 For a meal, and a beverage or three, try the Hilltop Hotel adjacent to the Omeo Motel. It’s a short staggering distance between the two establishments and therefore perfectly located. The locals in the pub might look rough round the edges, but they are friendly and they’ll say “G’day” with a smile. 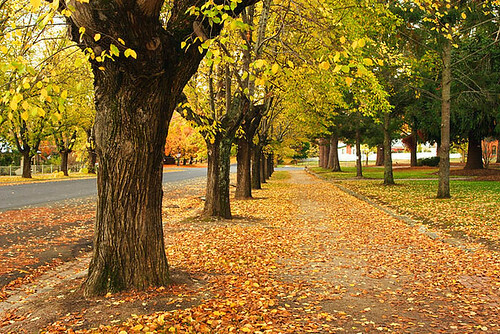 Crisp morning air, the rising mist and the falling of autumn leaves await you in Bright, Victoria this autumn. Find time between Saturday April 25 and Wednesday May 6, 2009 to attend the Bright Autumn Festival. The Gala Day is the biggest and brightest day during the festival with a street parade featuring brass bands, vintage cars and street entertainment. 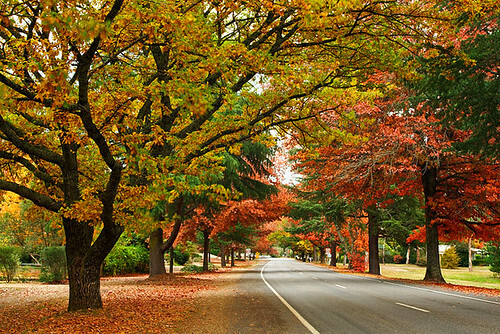 In the foothills of the Victorian Alps, Beechworth is a sight to behold in autumn. With tree lined streets ablaze with colour and a lolly shop to satisfy the choosiest of sweet tooth’s, pack up the car and spend a few days exploring its history. Beechworth was the town where Ned Kelly won a bare knuckled boxing match which lasted 20 rounds. 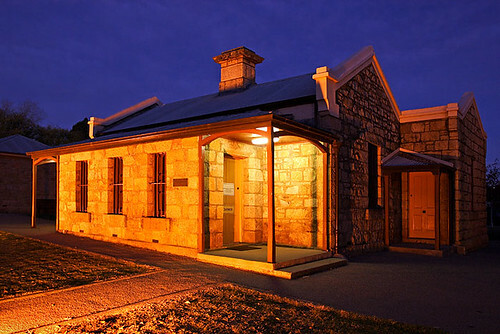 Today, visitors can experience the one hour Ned Kelly Guided Walking tour that departs from the Beechworth Visitor Information Centre in Ford Street. Fancy a pie or a coffee and cake? The Beechworth Bakery is a magnet for those with the munchies. The original single storey bakery was erected in 1857, and since then it’s been added to and undergone numerous renovations. 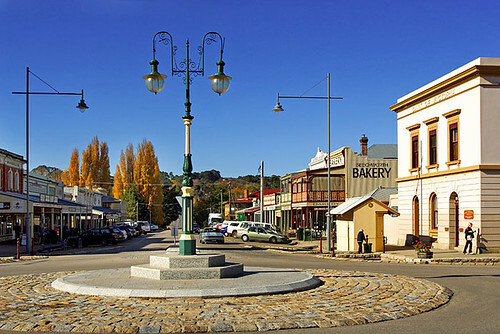 With fancy street lights and architecture of a bygone gold-mining era, Beechworth is a town that has retained its charm. The Post Office and former Bank of Victoria are two fine buildings which attract the eye at the intersection of Ford and Camp Streets. 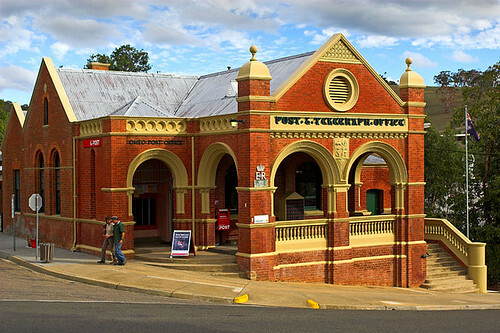 The historic and cultural precinct features buildings such as the Gold Warden’s Office and Bush Telegraph Station. Most buildings in the precinct are open for inspection. Check for opening hours. 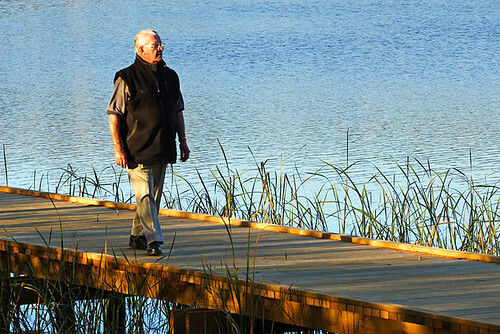 A late afternoon stroll can be taken along the shore of Lake Sambell and a picnic area with gas BBQs is located by the lake in the Rotary Park. Spring Creek and the Gorge Scenic Drive are a must. 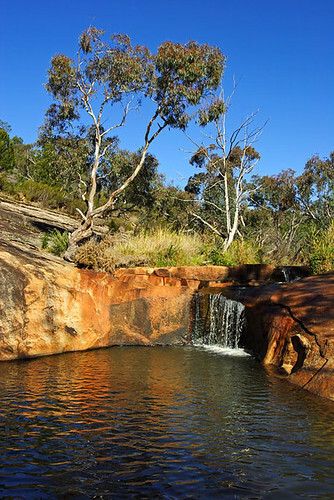 Within a short distance from the town centre, there are waterfalls and rugged granite outcrops.